Thrilling, atmospheric, and filled with ancient magic, this lyrically written YA debut is perfect for readers of The Raven Cycle and Wink Poppy Midnight. Though she knows the risks, Wren also goes on the hunt, taking a dangerous undercover assignment as an intern at enemy headquarters, the Harkness Foundation. If she can uncover a long-buried secret, she can save her family and end the judges' reign once and for all. But as the web of lies, deceit, and betrayal thickens around Wren, she hurtles toward a truth that threatens to consume her and reveal who she really is. Not only has she come to the attention of powerful judge Cassa Harkness, but she is also falling dangerously in love with the one person she shouldn't. And she may need to decide which she'd rather lose, her heart or her life. This spellbinding YA debut from Mary Watson is part thriller, part love story and entirely captivating. Mary Watson grew up in Cape Town, South Africa, where she worked as an art museum guide, library assistant, actress in children's musicals, front-of-house duty manager, and university lecturer. She now lives on the west coast of Ireland with her husband and three young children. 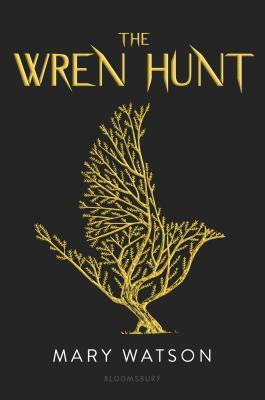 After publishing a short story collection and novel for adults, she fell in love with the brave girls in YA books, which inspired her to write her debut novel for teens, The Wren Hunt.